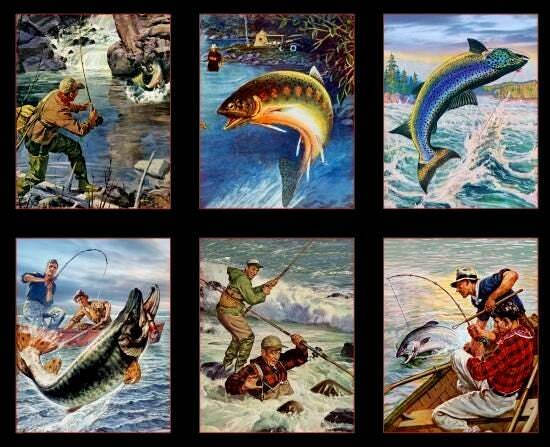 For the fishing enthusiast, a medley of vintage fishing scenes in blocks which measure approximately 6.5" x 5.5" each. This listing is for one panel that measures approximately 22.5" and contains 18 blocks, 6 different designs that repeat 3 times - Multiple panels available. All orders will be cut in one continuous piece, unless otherwise requested.